I love the temple Kodai-ji most in the morning before the first visitors arrive. It is peaceful, the light is soft and everything looks and feels as if it is supposed to be there. 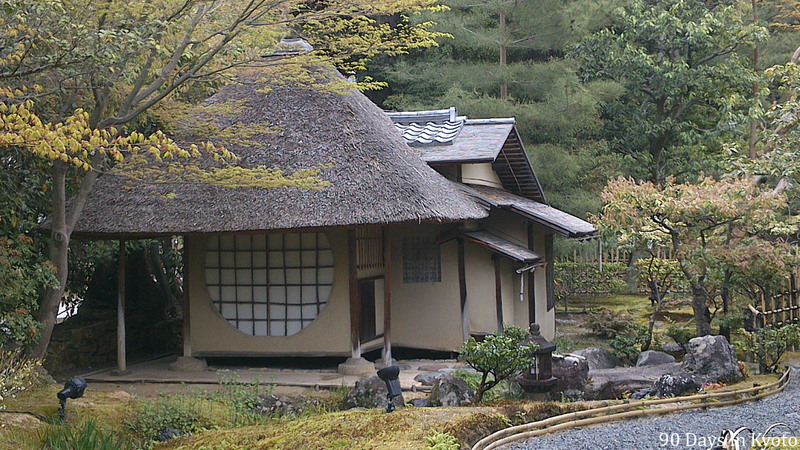 Kodai-ji is famous for its tea houses, and this is my favorite one: Ihou-an (遺芳庵) the cottage of the lingering fragrances. I took this picture before watering the pathway and tea garden yesterday morning.